Chicken spaghetti is a Southern comfort food favorite, but I kick it up a notch with a dash of Texas heat! Our Southern Style Baby Back Ribs are infused with flavor from a spicy sweet rub containing brown sugar, cayenne pepper and a blend of two paprikas. Growing up down South, I had access to some of the best barbecue available. Whether served in a full-service restaurant or at a roadside stand, everyone seemed to have their own secret recipe. Upon moving to Cincinnati, I discovered that places like Montgomery Inn dish up a sweeter sauce, which I’m still getting accustomed to. Our Southern Style Baby Back Ribs, however, is reminiscent of the spicy ribs I always get in places like Memphis, Dallas, and New Orleans. Be sure to allow enough time for the rub to permeate the meat, and the longer it can sit the better. The result is full bodied flavor and an aroma that is out of this world. Sprinkle the ribs generously with salt and pepper. In a small bowl, combine the Hungarian and Spanish paprika, sage, cinnamon, cumin, cayenne, and brown sugar. Rub the mixture into the meat and place in a resealable plastic bag in the refrigerator for at least two hours, but overnight if possible. Temper meat at room temperature for 30 minutes prior to cooking. Preheat oven to 300°F. Line a baking sheet with foil. Place ribs on baking sheet and roast for 2 to 2 1/2 hours, turning every half hour to cook evenly. 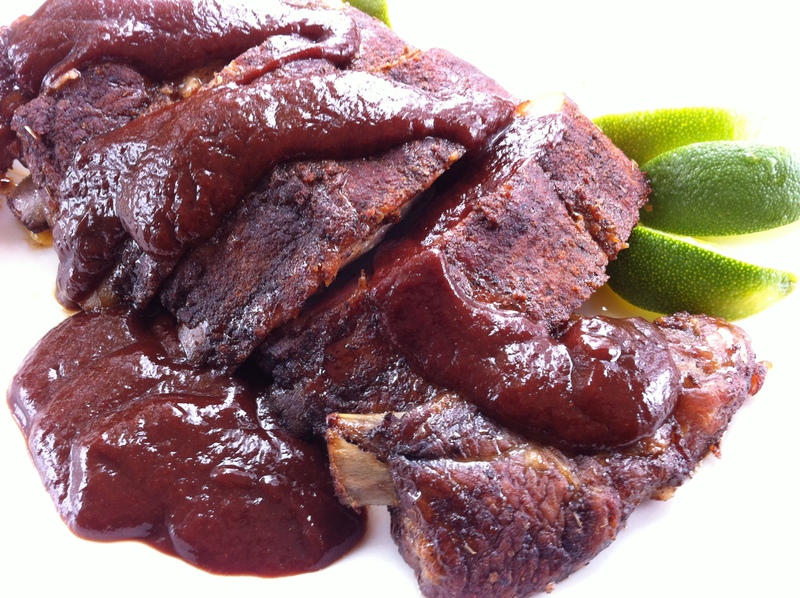 If using spareribs, cook an additional half hour. Serve with barbecue sauce and lime wedges on the side, if desired. TIPS: Serve ribs with a cole slaw or potato salad, slow-cooked baked bean medley and Texas toast for a true Southern meal. 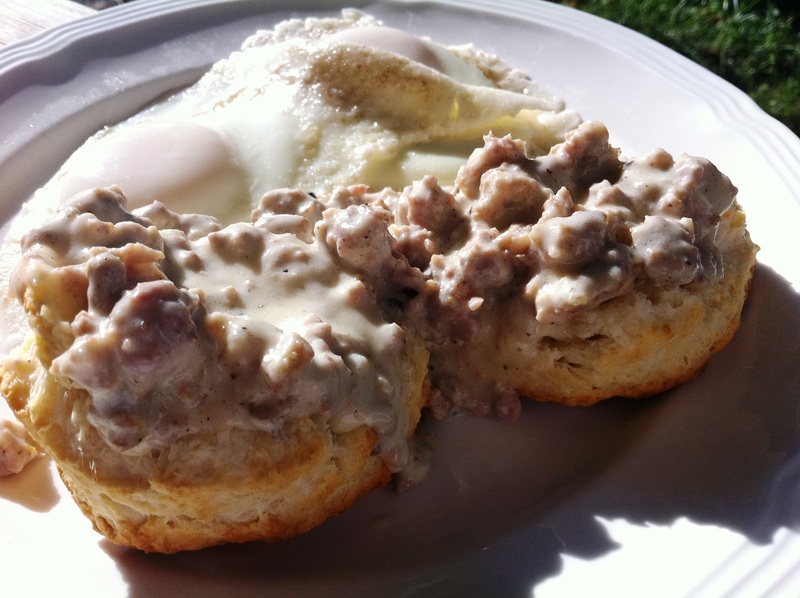 Our Sausage Gravy and Biscuits is a big, delicious breakfast guaranteed to satisfy a man-sized appetite. Whenever we go out to eat for breakfast, whether it is to Cracker Barrel or an intimate mom and pop restaurant, Jathan loves a hearty meal of flaky biscuits smothered in sausage gravy. There’s just something warm and comforting about it. Growing up in the South, he dined on his share of this dish, but it wasn’t until we took a trip to Jackson Hole, Wyoming that I experienced the best version of this meal I’d ever had. The biscuits were huge, the gravy meaty, perfectly seasoned and amazingly delicious. So here is our spin on this classic breakfast that never fails to satisfy a man-sized appetite. Brown sausage in a large heavy skillet, stirring until it crumbles. Drain sausage on paper towels, reserving 1/2 cup drippings in skillet. Whisk flour into sausage drippings until smooth. Cook over medium-high heat, whisking constantly, about 3 minutes or until browned. Stir in sausage. Gradually add half-and-half, cook over medium heat, stirring constantly until thick and bubbly. Stir in salt and pepper. Serve gravy over split buttermilk biscuits.